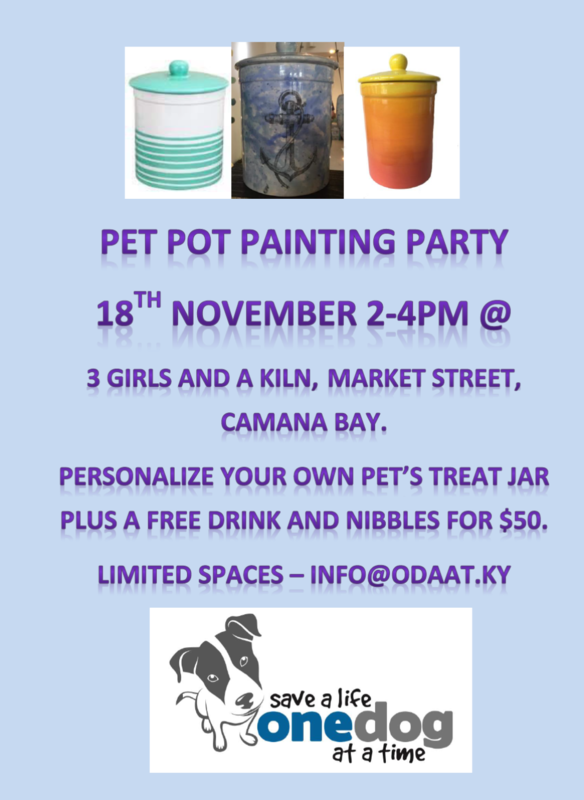 Decorate your own ceramic dog or cat treat canister at our pet pot painting party. Add your pets name or other words, choose your own color. Personalized treat canister would make a great gift too! Hosted by our wonderfully talented friends at 3 Girls and a Kiln at their shop on Market Street, Camana Bay. Save the date. $50 gets you the treat jar, a complimentary drink and some nibbles.